In lights of the current panorama for the cryptocurrency world, it all seems like a few crypto-related figures have started to take advantage of the situation by criticizing some of the most outstanding tokens of the market, for instance, Bitcoin. That is precisely the case of the Chief Executive Officer of Ripple, Brad Garlinghouse, who recently have been giving statements that put Bitcoin on a non-privileged situation. The comments have been received with a little of concern, since as it’s known, Garlinghouse is a Bitcoin investor himself, a fact because of which most of the cryptosphere is a little bit confused. The businessman recently gave a strong declaration for The Street, a market, and business news portal, and according to the publication of site, Garlinghouse asseverated that China partially controls Bitcoin. Let’s recall that not so long ago the businessman also declared that bitcoin was not the panacea everyone was expecting, another strong opinion that left the whole community feeling shocked. Furthermore, he mentioned one more time that Bitcoin was not the panacea everyone was expecting, a comment that he previously made when he forecasted that Bitcoin would not become a global solution. However, he also mentioned that he thinks not even the blockchain will be enough to disrupt the banking sector, though he considers it will play a crucial role in this. 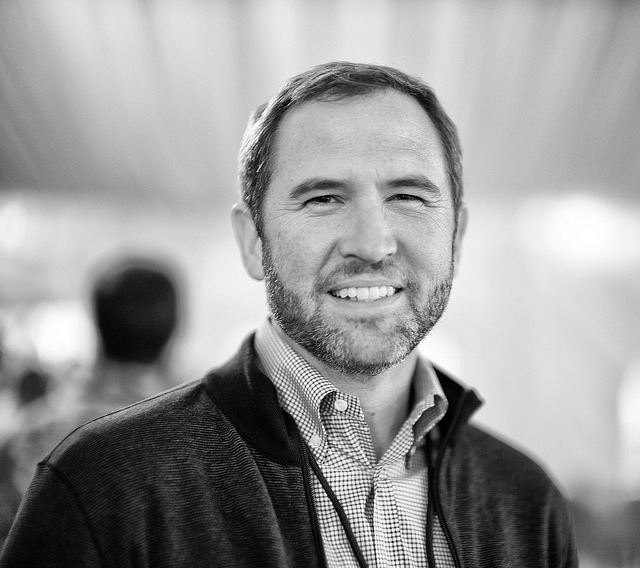 This comment turns to be a little convenient considering the fact that the company that Garlinghouse leads, more than a crypto organization is considered an enterprise that continually works on the development of different packs of solutions for the financial industry to make cross-border payments more efficiently. In this matter, Ripple Labs has created different solutions for the industry so far, including, xCurrent, xVia, and xRapid being the last the one that carries the token of the company, XRP. Ripple has managed to deploy the most astonishing partnering activities with many renowned institutions among we can find American Express, Santander, MoneyGram, Western Union, and a whole bunch of other bank institutions from all across the globe. At the moment of writing, Ripple (XRP) trades at a value of $0.55100, and the coin has decreased by 1.59% in the last 24 hours. As the market continues its dip and the main cryptos try to find a way out, we still need to wait to see whether or not Garlinghouse strategy pays off.